I was pretty much winging it with these tacos. I am finding that lentils and red quinoa together act a lot like ground beef in terms of cooking and texture. I just threw a cup of lentils together with 1/2 cup of the quinoa and cooked for about 20 minutes. I didn't pay attention to the water level like I usually would because I knew I'd be draining it. When it was done, I drained it and set it aside. In a skillet, I sauteed some onions, peppers and tomatoes in a little bit of tomato sauce (about 1/4 cup), some vegetable broth (about 1/4 cup) and some taco spices (cumin, Mexican oregano, garlic powder, salt, pepper, ancho chili powder). Then I added the lentils and quinoa and cooked it until it was the consistency I wanted. I heated some corn tortillas in a dry skillet and used the filling along with some shredded lettuce, avocados in lime juice, and cilantro. I used brown lentils in this, but I think next time I might try it with the black lentils which I think are even more like ground beef in texture and shape when they cook. I like to use those in chili, especially. Another thing to note about this is that I've been working on eating pretty much McDougall or Starch Solution. I do have some things around the house like Earth Balance and a multitude of nuts, etc. that I am working on whittling down, but this was one of the first times where I was attempting to make a meal that would start out with added oils and eliminate them. I would normally add a tablespoon of oil to the lentils (or any beans) and also at least a tablespoon to the sauteeing veggies. I would also spray the pan with oil when cooking tortillas. To top it off, I would probably use some sort of fatty cheese or sour cream substitute. I did add avocado, but that is technically allowed and I definitely don't eat avocado every day. I'm trying to get these last 20 pounds off my body. I have been at a plateau for more than a year and just in the couple of months of doing Starch Solution (and not even "strictly"), I have dropped 9 pounds. I will talk more about that later, but just wanted to make mention of what's going on over here. 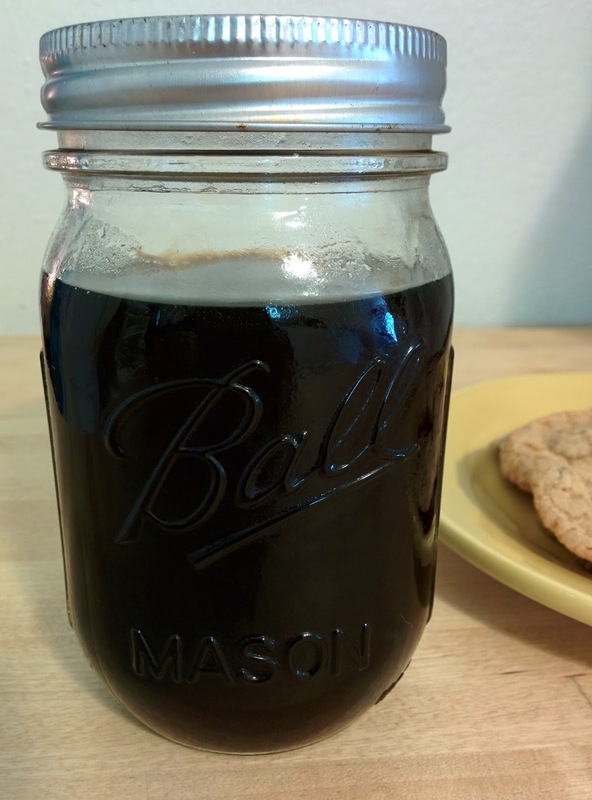 One of my favorite vegan cookies has maple syrup as one of the ingredients. I love the stuff but it can get expensive ($14 at Costco is a deal, but still) when you use it a lot or want to make a big batch of cookies. 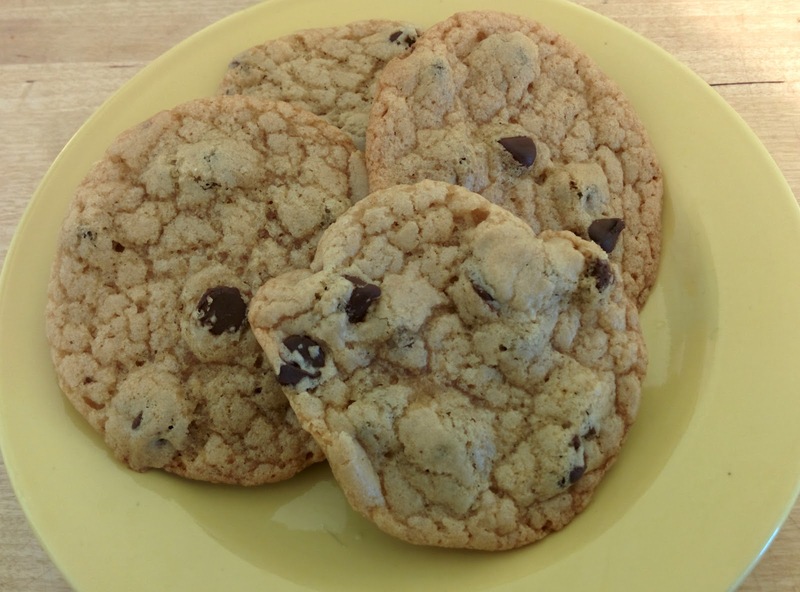 The aforementioned cookie recipe calls for 1/3 cup of it for just 8-10 cookies. I decided to see if I could just make a syrup myself and it worked out great! Mix sugar and water together and bring to a boil. Gently boil for 2 minutes and remove from heat and allow to cool. Once cooled, add flavoring if desired. Store in fridge. The first time I boiled the mix for 3 minutes and the cookies came out super crisp and had a toffee flavor. The syrup was just too thick and condensed. The coookies weren't bad, but I really like a softer cookie. This weekend, I boiled for 2 minutes and the cookies came out perfect. 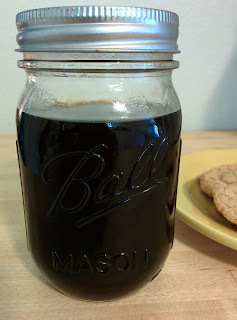 I made more than I needed for the batch so that I could make more later or use it as a sweetener in my tea. I like having a liquid sweetener around once it's summer and I start drinking iced tea. If you're a complete and total newbie when it comes to vegan food and you're thinking about making the transition but you're not quite ready yet or you just don't want to go whole hog (or "whole tofu" as we say in the veg world), then why not give Meatless Mondays a try? Not everyone is ready to make the leap in one day from meat at every meal to zero animal products whatsoever. That's okay. Use this one day a week to give it a test drive. 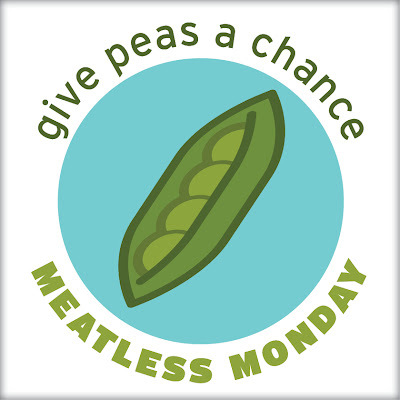 Once you've got a month of Meatless Mondays under your belt, try adding another day per week. Maybe Veggie Taco Tuesdays or Spaghetti Saturdays? It's up to you. Try to focus on the progress you're making toward a completely plant-based diet and not worry about every single day being perfect. If you really can't let go of that struggle for perfection, then make the same meal every Meatless Monday, but work on changing it each week until it's just the way you like it. Then start perfecting another recipe. Which recipe should you choose for your first Meatless Monday? Choose one that you make all the time or one that is your favorite go-to recipe when you're in a rush. Now, think about how you can adapt that recipe to get rid of its meat components. For instance, if you love making BLTs, then you can easily substitute the bacon for tofu bacon or tempeh bacon. There are lots of veggie burger options, too. 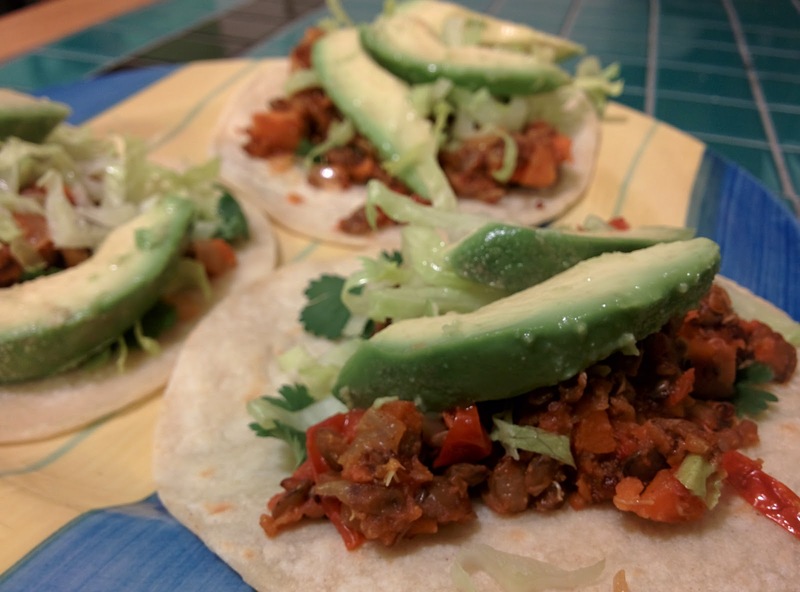 Tacos are as easy as using beans instead of meat filling. Here are more recipes to help you get started. But, please, do get started! Even if it is just one day per week. Another great use for Meatless Mondays is when you've already made the switch, but the rest of your family hasn't. Or maybe you have roommates that you'd like to introduce to going vegan or even just to getting more veggies into their diets, period. Take this day to show them how easy it can be to eat their favorite meals without using meat at all. Volunteer to cook that day and whip up one of their favorite meals except sub in beans or a meat replacement. Lots of restaurants participate in Meatless Mondays and college campuses do it, too. So, it's possible that you will have a better time on Mondays if you're trying to find vegetarian or vegan fare at places that might not normally serve these items. Wondering what I'm having today for my Meatless Monday? 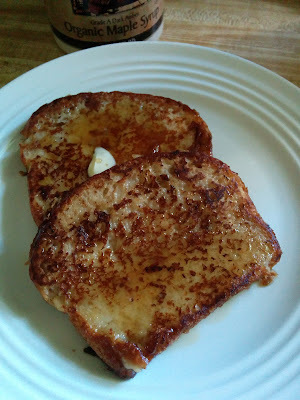 I started the day off with some Vegan French Toast. I'm having a peanut butter and fruit smoothie in just a few minutes and I'll finish it off with some lentil and quinoa filled tacos (will post a recipe for this tomorrow).